Can´t swim? No problem! WE´LL DANCE OUR WAY TO FITNESS! 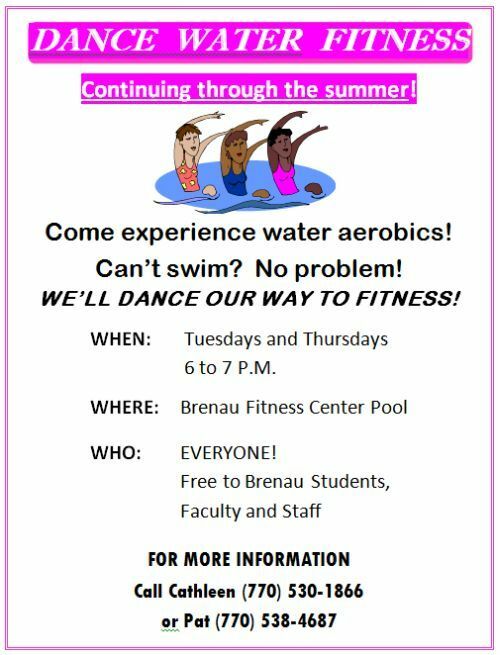 Free to Brenau sudents,faculty and staff. Previous PostPrevious An Extraordinary Opportunity for Brenau Students, Faculty and Staff: Meet Servant leader Guru Kent M. Keith. Free seminar Thursday 1:30-4:30 Thurmond-McRae.